Winnie Mashaba’s recent Annual Moral Regeneration event held at Boipuso Hall in Gaborone was an evocative spiritually awakening show. The event was targeted at sharing problems that the youth of both Botswana and South Africa experience, as well as trying to find solutions for the social ills in society. They say that music soothes the soul and gives hope; and this is exactly what happened on the night of the concert. A variety of gospel groups from Botswana had an opportunity to perform alongside the legendary Mashaba and they included Leah, Tswana Sanctified Voices, Ditsala Moreneng, Aregopoleng Gospel Boys, Phildah Masogo and Johnson Pheto. Phildah. 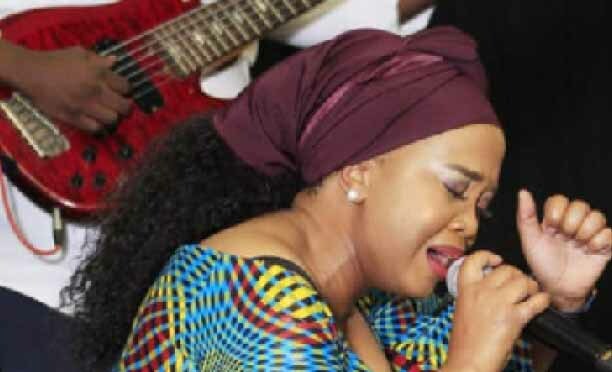 Masogo left everyone begging for more of her lovely bold voice as she showcased her rare talent. Pheto also had the audience eating from the palm of the hand. Known for her sweet voice and her gorgeous face, the Lord you are worthy hit maker Leah also represented Botswana well. A team dubbed Team Winnie Mashaba-Botswana performed Winnie Mashaba’s songs beautifully despite the poor sound quality. The queen of the show, Winnie Mashaba, who looked glamorous throughout the gig, gave her fans the best, performing some crowd favourites. Local comedian Mjamaica was the MC for the evening and kept the audience joyful throughout the show with his hilarious jokes.